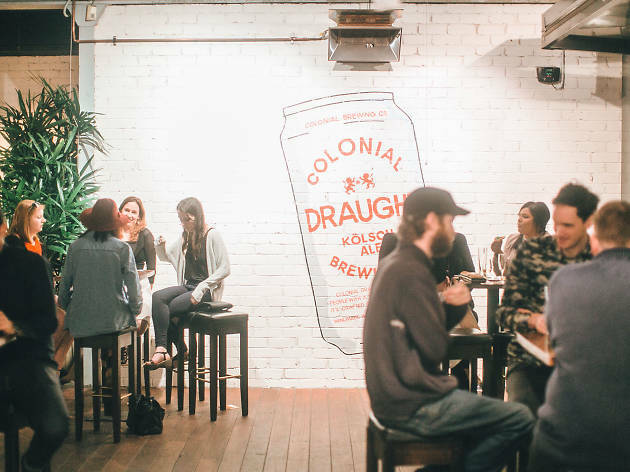 This inner-city brewery may be in the industrial end of Port Melbourne, but it's serving up plenty of good times if you happen to live or work around the area and are after fresh tinnies and food truck fare. 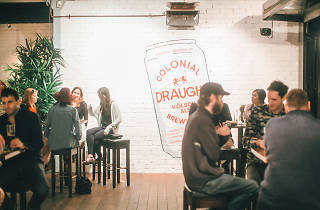 Every Thursday, Friday and Saturday, Colonial Brewing Co is open to turn on the taps to its signature Draught, IPA, Pale Ale and its sweet little Bertie cold pressed apple cider. The brewery is big enough to accommodate up to three food trucks inside the warehouse, so look out for some meals and wheels while you're cracking into a tinnie.